It has been a long time since I sent out a news letter. Sorry. I always have good intentions but not always the time to get to writing a meaningful newsletter. This time I am including the Earth Day (April 22, 2015) email (in its entirety from the Orchid Conservation Alliance (OCA) and its president Peter S. Tobias. This is a group devoted to protecting orchids and orchid habitat in the wild. I have only been a member for a couple of years now but I am a fierce proponent of orchid conservation and of the places where orchids naturally live. That is what this group is all about. And the good work that they are doing. They focus on preserving areas where orchids are growing, so that habitat destruction does not make the orchids more rare or even extinct. They also sponsor trips to incredible orchid growing areas around the world. Perhaps you might even even consider becoming a member? OK. That is enough of the commercial part. Just know that I think a lot of this organization and the good work that they do. 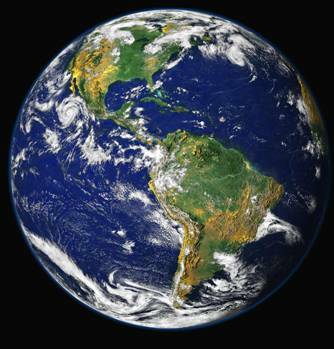 Wednesday, April 22, is Earth Day, 2015. On Christmas eve, 1968, Apollo 8 emerged from the backside of the moon to see rising over its surface not the sun but the Blue Marble of Earth. A small planet, looking very fragile, in the blackness of space. This is not the original picture, but it is the original, one and only, earth. This picture, corny as it may sound 47 years after the original was first published, still inspires a sense of reverence in me. In 1968 I was in graduate school, studying biochemistry. The green in the image is all biochemistry. It is due to the chlorophyll which plants use to harvest the energy of sunlight and then make sugar from carbon dioxide via photosynthesis. Whether you look at the earth from afar, as in the image, from somewhat closer while walking in the forest or sitting in a lawn chair, really up close using a microscope, or at the molecular details, what you see is amazing. It didn’t happen that my biochemical career was spent studying photosynthesis or anything else to do with plants, but digging deep into any life process reveals an astounding complexity. Mathematicians talk about the ‘beauty’ of an elegant mathematical proof. Frankly, mathematics has nothing on biology. The complex molecular dance of making two cells out of one is more than elegant enough to be called beautiful. And that is only single cells. When those cells get organized they make a tree, a tiger, a person, or an orchid, with a whole new, even more intense, level of complexity. To me, orchids are one pinnacle of evolution. Of course, they are not in fact any more evolved than, for example, grass. All the phenomena that enable an orchid to grow, flower, and reproduce, are also carried out by grass, and to the grounds keepers of the Master’s golf tournament, grass is probably more interesting. However, I chose orchids; they are more diverse, prettier, and they smell better. Doing what I can to keep the diversity and complexity of orchids alive for the continued breath taking beauty of the Blue Marble is my bit to preserve that marble for my kids and grand kids, and yours too. Somewhat ironically, the world’s population in 1968 was 3.5 billion, ironic because today it is 7 billion, just double what it was when the Blue Marble was first sighted. I am very grateful that more than 425 individuals and societies have joined the OCA to help with that. In the next week or two, if you have not yet renewed your OCA membership for 2015, you will hear from me. In the meantime, Happy Earth Day. Enjoy it. Go talk to your orchids." Since this article is largely the email from Peter Tobias, if you want to use any of the information contained in it please contact him directly.